What is the best way to visit the Vatican? The Vatican Museums, which include the Sistine Chapel, will certainly be one of the most memorable experiences of your trip to Rome. There are many options for you to consider when choosing your Vatican Museums tour. Here we have provided our tour selections based on the time of day that you wish to experience the Vatican. Upon entering the Vatican two hours before the general public, you will be treated to an American-style buffet with a selective group of visitors. By 8:00AM, you will have the opportunity to experience the museums in a more peaceful way without the hassle of the usual crowds. This tour is great for those who like to get a bright and early start to their day and would like to gain a unique perspective of the Vatican. One of our most popular tours at Eyes of Rome, the Early Bird Tour allows you to visit the Vatican and St. Peter’s Basilica in a more refreshing way and at a relaxed pace. This exceptional tour allows you to choose whether you would like to see the iconic Sistine Chapel first and then the rest of the museums at a slower pace; or vice versa- start with the museums and then enter the Sistine Chapel. Either way your group will be one of the few exclusive groups to experience the Vatican galleries at this time! One of the most enchanting experiences of the Vatican, you and your group will be lead through the Pope's private gardens. You will admire the beautifully intricate garden designs reminiscent of the Renaissance. The garden is full of playful and colorful flowers, priceless sculptures and a whimsical labyrinth! Next you will be lead through a secret passage directly into the Sistine Chapel- avoiding the congestion of the Vatican Museums galleries. This tour is particularly recommended during summer months as you will avoid the heat and humidity of the crowded galleries. This tour also includes a visit to St. Peter’s Basilica. Rich in art and cultural knowledge, your passionate personal guide will highlight all of the must-see sights within the Vatican Museums and St. Peter’s Basilica. As with all of our tours, you have the ability to customize the tour to meet your desires. This tour best suits those who want to have flexibility and different time options, and would like to take advantage of our experts to help them choose their path through the lengthy museums. The gatekeeper will give your group and your guide special access to enter the renowned ’Stone Zoo’ and Gallery of the Statues reserved for select visitors only. Your guide will bring this fantastic collection to life by unveiling the lesser-known, dark secrets the Vatican still hides. The most precious of all the hidden gems you will encounter is the Cabinet of the Masks: a little room with a fantastic view of the city containing treasured sculptures and mosaics. This tour is ideal for those who want to see all of the must-see artwork in the Museums, as well as reveal some of its hidden secrets. Take an entire day to discover one of the world’s most famous museums. With your private guide, you and your group will be exposed to a wealth of cultural and artistic treasures. The tour goes at a relaxed pace and is recommended for those who take pleasure in studying and admiring their surroundings. The tour covers a wide range of sites around the Museums and St. Peter’s Basilica. Be treated to a two hour private tour of the beautiful Vatican gardens, with its flowers, trees, statues, renaissance architecture and long history. Continue with your private tour guide through the stunning Vatican Museums- without missing any of its many must-see masterpieces. This tour is recommended for those interested in combining the two most attractive tours available in the Vatican. My wife and I booked an Early Bird Vatican tour in February 2016. Our guide stefania was superb! Really!! I booked a private tour as we do for any of our holidays but I wasn't used to having so much fun- especially on an indoor tour. Bravo Stefanie! We passed the line of people waiting for the museum to open and we went right in. The rooms were almost empty and I was able to shoot at least 50 pictures of my wife with no one else around. We had to leave my camera tripod at the cloakroom of the Vatican Museums and when we had to go back to pick it up after the tour we saw the museum was packed. I would definitely recommend an 'Early Bird' if it always gets so busy durning normal opening hours. I agree, the Early Bird was great! I had no idea this was even an option. Thank you for choosing an early bird Vatican tour: it is one of the best options, especially during the summer, when the Museums can be packed and hot. The advantage of this tour is that you can also choose if to go straight to the Sistine Chapel, as soon as you enter, and then back to the entrance, to visit better the Museums; or you can start enjoying the Museums at 8 AM, with calm, and reach the Sistine Chapel at the end, before going to the Basilica, like in a regular tour, but taking advantage of the early entrance. The first option allows you to enjoy the Chapel with a few more visitors. The tour is longer than 3 hours (usually 4 hour) since you walk back and forth in the Museums, 2 times in the Chapel (when it's empty and when it's crowded, after the regular opening time), and then go to the Basilica and the Square. But if you have a real interest it is worth a longer visit and walk. The second option allows you to do a regular 3 hour tour, but starting earlier in the morning is a gift, especially to avoid crowds and too much heat in the Museums. Once you see the Chapel you'll leave the Museums and visiting the Basilica is always easier and there's a lot of space around you. I would definitely recommend to look for the best Vatican tour options anyone who will visit Rome and the Vatican, especially during the summer. There are many opportunities available and I think it's worth to spend some more money for a memorable and positive experience. Thank you for your question. They are actually very similar as the itinerary is the same and they both allow you to visit the Vatican Museums before the public opening. The Art & Breakfast tour is actually an Early Bird Tour with the addition of a buffet breakfast at the Vatican Museums - therefore it is more expensive. The main difference between the 2 is that with an Art & Breakfast tour you will be already inside the Museums when the galleries will open. So you can be among the first to enjoy the artworks and the Sistine Chapel. Consider it takes about 10-15 minutes for Early Bird visitors to arrive to the Galleries after the Vatican Museums opens. Grazie from Eyes of Rome Team. Hi, Please tell me how long the classic vatican experience tour is, what time you enter the Sistine Chapel, how long you spend there, and how much time you spend in the Vatican museums. The regular tour of the Vatican Museums includes the Museums Galleries, the Sistine Chapel and St. Peter's Basilica. This colossal museum complex occupies the 5.5-hectare Palazzo Apostolico Vaticano and contains one of the world’s greatest art collections, culminating in the Michelangelo-decorated Sistine Chapel. The regular tour takes approximately 3 hours, starting from the Museums Galleries. It is hard to say exactly how much time is spent for each part of the tour, for it also depends on the visitors number per season. Moreover, having a private guide will mean that each tour can be adjusted according on client's interests and needs, and even speed. Also, you can consider that, if you have special requests, you can even add extra hours to your tour for an extensive experience! You must know that, for example, it is forbidden to talk inside the Sistine Chapel: this is due to the sacredness of the site. When entering the Chapel, your guide will generally consider 15 - 20 minutes to let you marvel at the mighty beauty of Michelangelo's summation. She/he will have already provided the Chapel explanation during the previous time at the museums, so that you can enjoy its spirituality the way it was meant to be: in meditation. After visiting the Chapel, you will exit in Saint Peter's square and access the Basilica, where the last part of the tour will take approximately 40-45 minutes. Hope this helps, Patricia, and please feel free to contact us if you have more questions! Hi, can we visit the whole Vatican museums in a wheelchair? Even the Vatican gardens? Hi Vanessa, even though you can visit most of the museums in a wheelchair, unfortunately they are not allowed in the gardens due to the nature of the pathways. We suggest that you read this article where we explain how to navigate the Vatican with limited mobility. I hope this helps and it won’t stop you from visiting the fantastic museums! Wow guys! the hidden gems Vatican is great! The cabinet of masks is very interesting place, and getting inside you feel so special because the guard opens the area only for us with the special tickets. I felt so intrigued and excited to be at the vatican with such a good guide and all the stories related to that place that i asked Barbara to extend the tour and an extra hour. Luckily she was free in the afternoon and she could stay with me longer. Definitely not to be missed! For us, a private tour was the only way to visit so that we could go at our own pace. Our guide Serena, was fabulous, very knowledgeable and nice. This tour is a must for anyone in Rome, the art is breathtaking and just gave us goosebumps!! To say The Sistine Chapel is amazing, the cabinet of masks is fascinating and St Peter's Basilica is phenomenal. thank you eyes of rome!! Ciao Mark! thank you for your nice comment. I saw you very interested on everything and you can’t imagine how happy this can make me. I am glad to have spent half day in your company. Please contact me if you come back to Rome!! Hey Vin! thank you for your comment here. It is wonderful to hear you still so excited. Thank you as well for being so kind and passionate about the Vatican and to my stories. It is such a greta pleasure spending time with people like you. And thanks for the evening pizza also ;) next time we go for carbonara. Caio!!! Hi guys, I was really intrigued by the secret passage to the Sistine Chapel of your Vatican special tour. Can you tell me more about it? Where does it start and how long is it? And why is there a secret passage at the Vatican? Thank you for contacting Eyes of Rome. First of all, the so called “secret” passage is not really a secret. It is a pathway closed to the general public but opened to us thanks to our partnership with the Vatican. The tour runs very smoothly due to the advantage of using this passage. After a couple of hours in the beautiful gardens your guide will take you to the passage that leads you first to the Aldobrandini room and after to the neighbouring Sistine Chapel. Reaching the famous Sistine Chapel will take you approximately 5 minutes, walking through a path that through the Vatican that not everyone sees, and away from the crowds! On this tour, you can spend more time in the gardens and in the Sistine Chapel. We hope this has answered your questions. Contact us again for any further questions, we hope to hear from you soon! Three great experiences thanks to Eyes of Rome! First, we followed the suggestions of Francesca from the office who suggested the ‘Hidden Gems’ Vatican tour as, she said, we sounded super excited at the idea of going to that amazing place! What a great tour- Katie was amazing and I wish we could have had more time with her. The day after we had a wonderful walking tour with Silvia who was also fantastic! She knew everything about Rome (and more!) and to end the day we couldn’t ask for a more relaxing evening than we had in the company of Francesco for a wine tour, with typical Italian and high-quality food and wine. We were in the hands of Eor and they exceeded our expectations! If you are into ancient history and art, the Vatican with the Egyptian and Etruscan galleries will take your breath away. It is so interesting to see so much stuff from centuries ago! The Golden Room is truly amazing. I also added the extension of the Jewish lapidary, so worth it! And please pass the message to Maria Linda who has been so kind and engaging! you can tell She loves what she does. Hi Arik, thank you fo your lovely comment here! I enjoyed your company as well :) If you happen to be in Rome in the future let us know! We can carry on with all the curiosity of Rome and the religious facts. Dear John, I am answering on behalf of all the people you mentioned in your comment above. I passed the message on to them and we are all happy to hear such great things from our guests. 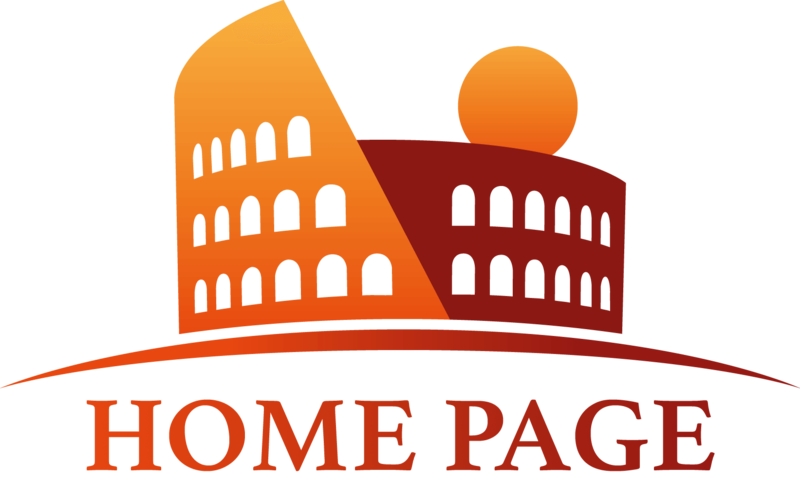 We are pleased to have contributed to make your experience of Rome the best. We all hope to hear from you again in Rome or maybe in other Italian cities. I wanted to comment that I was able to join my uncle on your 'Exclusive After-Hours VIP' Vatican tour, and it was AMAZING! To see the museums nearly empty, and have the Sistine Chapel ALL TO OURSELVES was absolutely the experience of a lifetime. For very special occasions this is the experience I would recommend to anyone looking to do something truly life-changing. I cannot speak more highly of this tour! A big thank you to Eyes of Rome for setting this up for us! My wife and I booked the Art & Breakfast tour of the Vatican and absolutely loved it. Our guide picked us up at our hotel and got us over to the Vatican in about 5 minutes! We were some of the first guests to enter the Museums, and we headed straight to breakfast- in the famous Pine Courtyard, with almost no one around. The breakfast was great- the best we had while in Rome! We were able to eat in peace while hearing stories of the Vatican and the masterpieces inside, while enjoying nice, strong coffee. After breakfast we continued through the museums on our way to the Sistine Chapel and St. Peter's Basilica. We ended up extending our time with our guide so we could visit the Raphael Rooms and the Cupola of St. Peter's Basilica and take in the most amazing view of Rome. It was truly an amazing experience, and many thanks to our guide Stefania for making it truly memorable and even fun! Hey Eyes of Rome! I just wanted to add here (if any potential visitors were on the fence) that the Secluded Vatican Gardens and Sistine Chapel tour was AMAZING! Not only do you get the beautiful and expansive Vatican Gardens nearly to yourselves, but from there you go straight into the Sistine Chapel (avoiding all the crowds) and then into St. Peter's Church. For our purposes it was the best way to see the Vatican Museums- the only thing inside that wasn't covered (that we might have wanted to see) was the Raphael Rooms. It gives us something to come back for!! We will be back, for sure. Thanks Eyes of Rome and Azzura- the greatest guide ever! If I choose the Vatican Gardens tour, do I still have to do the Vatican Museums? I'm mostly interested in the Sistine Chapel and St. Peter's Basilica. Thanks for the question. 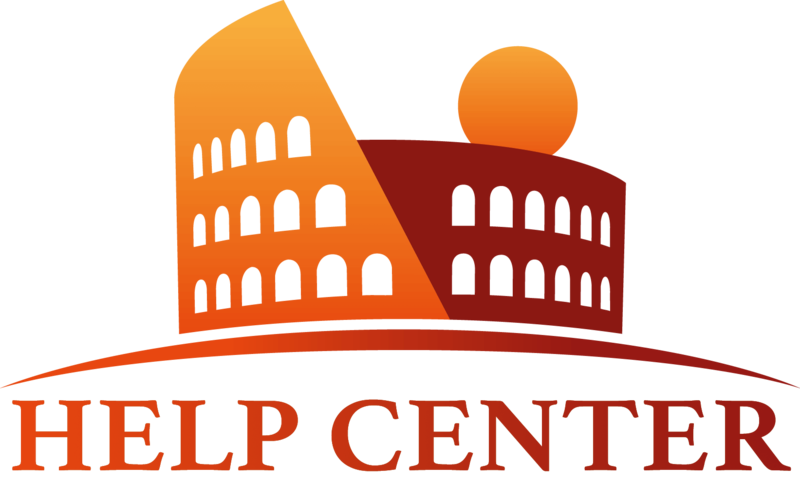 We have a bit more information that answers your specific question in this Help Center article but I will say that, no you don't have to visit the Vatican Museums. You will make 3 stops on this tour: the Vatican Gardens, the Sistine Chapel, and St. Peter's Basilica. The Gardens are highly recommended as they remain almost empty, and I consider them one of the Vatican's still hidden (to most tourists) treasures! I saw that you offer a Vatican Prime Tour. Can you tell me more about this specific Vatican Tour? Thanks for your question. We have introduced this new tour in 2018! Thanks to our special partnership with the Vatican we are able to grant you access to the Vatican Museums 15 or 30 minutes prior to the Early Morning entrance. You will thus enter at 7:30AM/7:45AM instead of 8:00AM, skipping through the large crowds waiting for the doors to open! This is a special VIP access and it is absolutely worth it. This type of access is the a true skip the line guaranteed! For any further information do not hesitate to contact us via email at info@eyesofrome.com, one of our booking managers will be happy to answer all your questions! Before I book the tour, I noticed that the Early Bird Tour starts at 7:00AM as opposed to the Prime Tour that meets a bit later. I am a bit confused as why we would meet the guide later in the morning if we enter the Museums earlier? That is a great question Frank! With our Early Bird Tour you will meet your guide at your accommodation at 7:00AM in order to be able to arrive to the Vatican Museums as early as possible to be among the first to enter the Vatican when the doors will be open for the special entrance at 8:00AM. Please keep in mind that official public entrance is at 9:00AM. Your guide will start explaining the general history of the Vatican Museums and the Sistine Chapel to give you an ntroductory insight before you enter at 8:00AM. With our PRIME Early Bird tour, you are able to meet your guide a bit later (at 7:20AM) as you won't need to worry about reaching the Vatican Museums as soon as possible. With your guaranteed skip the line entrance at 7:45AM, you will simply skip the crowds waiting for the Early Morning opening and enter before everyone else. Hi. We will coming to Rome again next spring. We have already used your tour services last time a couple years back and toured the Vatican Museums with Stefania. This time around we will be travelling with our children and I would love for them to see the Sistine Chapel, without the Museums as we have already seen those last time and I believe it would be too much for my kids. Is there a skip the line to the Sistine Chapel? Ciao Tina! We are thrilled to hear that you will be back soon with your children! While no skip the line tickets exist for a direct passage into the Sistine Chapel, we do indeed have an amazing tour for you! Our Prime Express Tour! With this tour, you will enter the Museums just like with our regular Prime Tour, but your guide will be able to take a shortcut and head straight to the Sistine Chapel without stopping in the Museum Galleries! This tour focuses primarily on Michelangelo's stunning ceilings and the St. Peter's Basilica and lasts about 2 hours. Enough time to keep kids engaged without getting bored! Send us an email directly at info@eyesofrome.com and we will send you all information!